Gibson Dunn | Darden, Michael P.
Before joining Gibson Dunn, Mr. Darden served as the global chair of the oil and gas transactions practice and co-chair of the global oil and gas industry team at Latham & Watkins as well as the firmwide chair of the global oil and gas practice at Baker Botts. Prior to Baker Botts, Mr. Darden was Vice President, Business Development, for Nuevo Energy Company, with responsibility for U.S. and international business development, international new ventures, international legal and negotiations matters, international mergers and acquisitions, as well as real estate portfolio management and land matters in the United States. He has also worked in the international legal and/or negotiations areas for Tenneco Oil Company, BHP Petroleum and Hunt Oil Company. Mr. Darden is a member of the Association of International Petroleum Negotiators, in which he has served as an officer, director and committee chairman and was co-chair of the committee that developed the model form international farmout agreement. Mr. Darden is Board Certified in Oil and Gas Law by the Texas Board of Legal Specialization and a member of the Houston Bar Association. 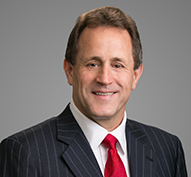 Mr. Darden earned his Juris Doctor in 1986 from the University of Houston Law Center. He received an MBA from Rice University in 2002 and graduated in 1980 from the University of Texas at Austin, where he received a Bachelor of Business Administration in Petroleum Land Management.